Birthstones have existed across cultures throughout history, attributed to significant aspects of a particular society, such as religion or custom. Modern times reflect these themes as well, as groups have updated these symbolic stones to reflect current tastes, thoughts, and trends. Join us as we examine the nature of the September birthstone. 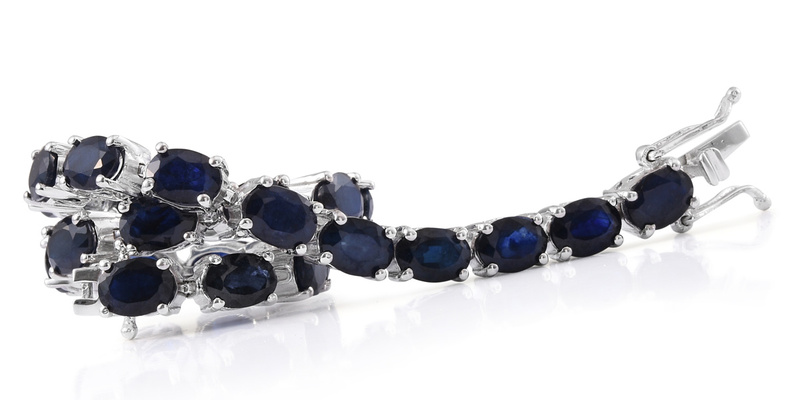 Sapphire has reigned as the recognized September birthstone since the early 20th century. It was officially added to the roster created in 1912 by the Jewelers of America. Those fortunate enough to be born in this month are spoiled for choice. Why? 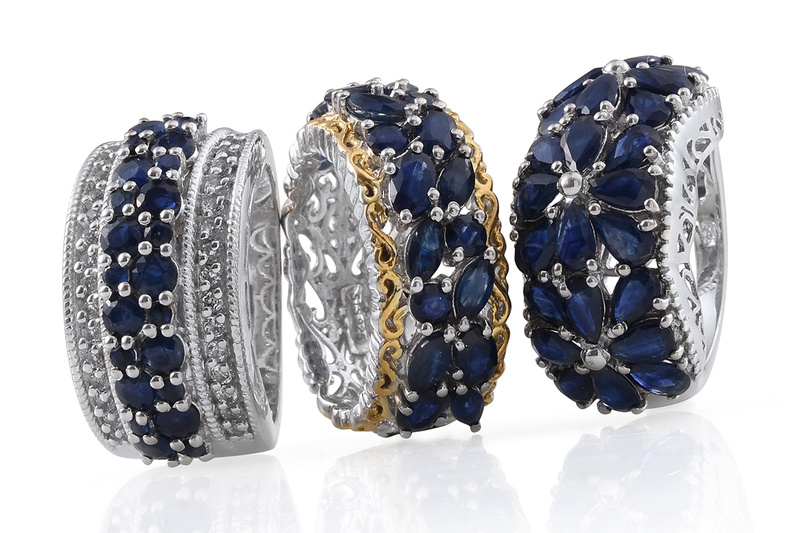 In addition to the traditional blue colored stone, sapphires come in an expansive variety of colors! Colored sapphires are often called “fancy sapphires.” These stones are referred to by their color (pink sapphire or chocolate sapphire for example). Learn more about sapphire within our Education Center. The modern stone replaced chrysolite, considered the September birthstone for centuries. Gemstones were known primarily by their color before modern gemology. Therefore, chrysolite could refer to any gems that share its olive-green color. For example, modern thinking suggests peridot as the culprit. However, any number of other green gems of similar color could be considered. Learn more about peridot here. Sapphire is the modern birthstone within the U.S.
Britain also recognizes lapis lazuli, in addition to sapphire. Virgo (8/23-9/22) uses carnelian as their zodiac birthstone. Libra (9/23-10/23) utilizes chrysolite as their zodiac birthstone. Birthstones are often thought to bestow luck. Furthermore, they are an excellent gift for lovers of jewelry and mementos. Whether you prefer traditional or modern sensibilities, birthstones are a unique way to tell a story about yourself. Which would you choose? Discover an exciting array of gemstones through online auctions! To learn more about each month’s birthstone, check out our handy birthstone guide!